These three wheelers are called scooties in Delhi and rickshaws or ricks in Maharashtra. 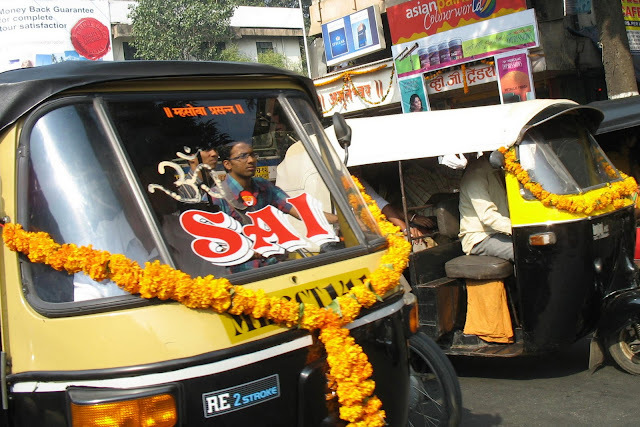 An economical way to travel as a rickshaw is cheaper than a taxi. However the ride is bumpy especially as roads are not very smooth. And they drive rashly. Much safer to go by bus, if one can get one. However as public transport in most cities in India is poor, people prefer these three-wheelers as they are quick and navigate easily through narrow congested roads. Foreigners like to ride on these vehicles as for them it's something different. However pregnant women should never ride these contraptions. 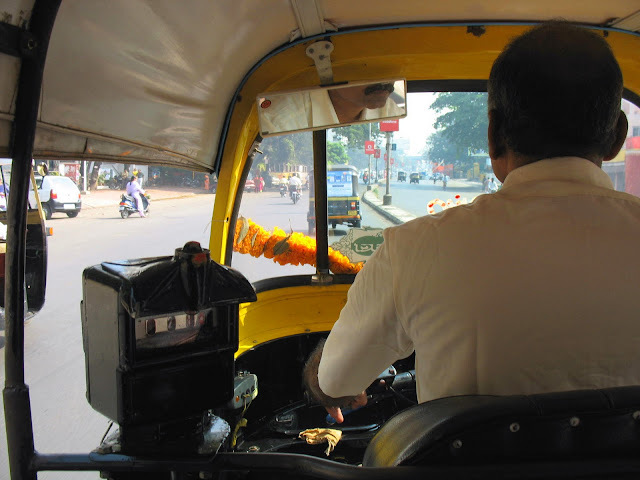 Rickshaws drivers in Pune and Mumbai are fairly safe and honest.